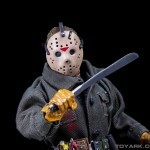 NECA has released photos and full details for their surprising new addition to their Friday The 13th line up. 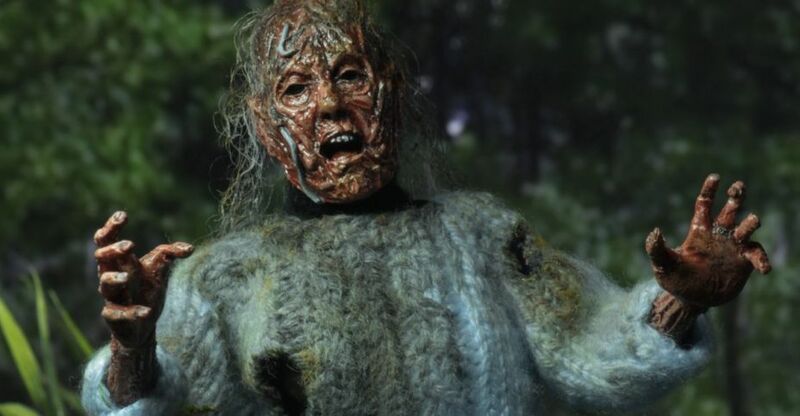 Today they announced their Friday The 13th Part 3 – Corpse Pamela Voorhees 8″ Scale Figure. This is part of their Mego style releases. In the film, once Jason is defeated, Chris Higgins (the final girl from the movie) has a dream where she hallucinates being chased by Jason again. As she tries to escape on a boat, the decomposing corpse of Pamela Voorhees leaps from the water and pulls her into Crystal Lake. 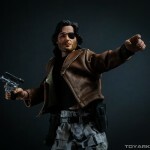 The figure is due for release in the second quarter of 2019. See official info below, and click the headline of the story for the photos. The original killer from #Fridaythe13th is back! Jason’s mom, Pamela Voorhees, dies in the first movie but appears again in the third installment of the slasher series. 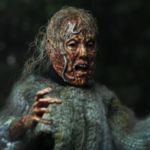 The “Lady of the Lake” figure depicts Pamela as she appears in Chris’ dream: a nightmarishly rotted body emerging from Crystal Lake to pull Chris in. 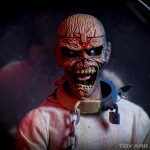 The detailed figure is fully poseable and stands 8” tall, featuring synthetic hair and distressed clothing. The resealable clamshell packaging has custom artwork created by Jason Edmiston just for this release! NECA has been updating their Twitter profile picture quite often this month, which has led to multiple new figure announcements shortly after. If you check out their Twitter profile now, you can see a surprising and unexpected figure. The image showcases a retro Mego style decomposing Pamela Voorhees from the fake out dream sequence ending to Friday The 13th Part 3! In the film, once Jason is defeated, Chris Higgins (the final girl from the movie) has a dream where she hallucinates being chased by Jason again. As she tries to escape on a boat, the decomposing corpse of Pamela Voorhees leaps from the water and pulls her into Crystal Lake. Right now, only the teaser picture is available. Look for further updates soon. Click the thumbnail to check it out. For their third “5 Days of Downloads” for 2017, NECA has shared two new Visual Guides to their stylized Retro Mego Style Cloth Figures. One is for their resealable clamshell releases, and the other is for their special window box releases. You can check them out after the jump. See official details below. It’s that time of the year again! To thank our many wonderful fans, we’ll be posting new downloadable goodies daily for the next 5 days. Come back each day to “unwrap” a new gift! And on the 3rd day we bring to you two updated visual guides for our clothed action figures: one for the clamshell-packed figures and the other for the window boxed figures! Both are available as an extra-large, 300 dpi JPG. You can download the very high resolution versions Here and Here. We’ve updated two different versions of our retro 8″ clothed action figure visual guides to be completely current! One covers the clamshell-packaged figures, and the other covers the boxed figures. Available as extra-large, 300 dpi JPGs. Download links appear below each image. We’ll have the next download tomorrow from NECA. You can check them out by reading on. Open the images in a separate tab or download them to see them full size. As part of our Week of NECA, we are going to be looking back at some of our past galleries. Each retrospective will include a theme. 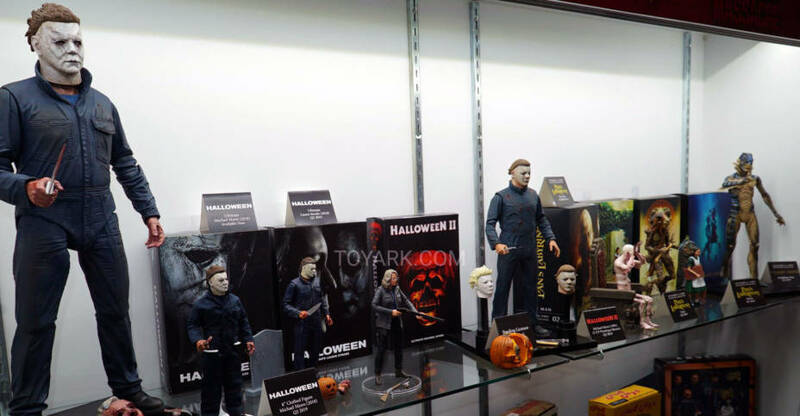 We’ll highlight all of the NECA galleries we’ve taken. Most will fall under the theme for that day. Today we take a look back at our NECA Mego Style 8″ Retro Figure Galleries. While I have personally been collecting many of the figures in this line, I started a bit late. So we have official galleries of seven releases. 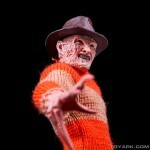 But we also have used various other NECA Mego Figures figures throughout our galleries. Below, you can find the Toyark galleries for the Mego figures as well as NECA’s official Mego Style Visual Guide. 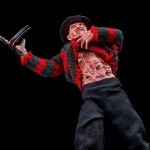 Check back tomorrow as we revisit another set of NECA galleries! 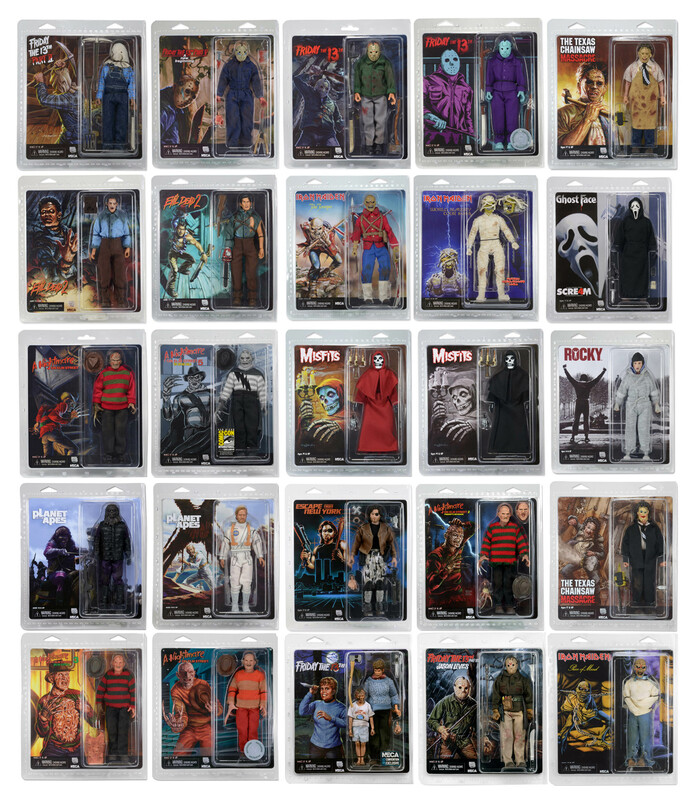 On the second to last download from NECA, they have released a Retro 8″ Mego Style Visual Guide. 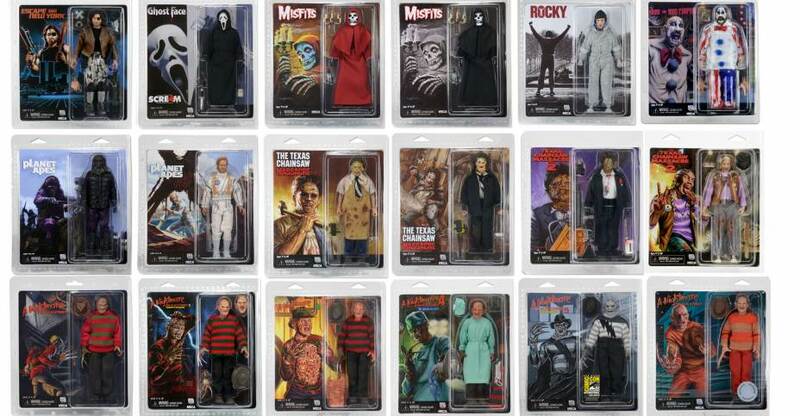 This shows most, though not all, of their released 8″ Scale Retro Mego Style Figures. 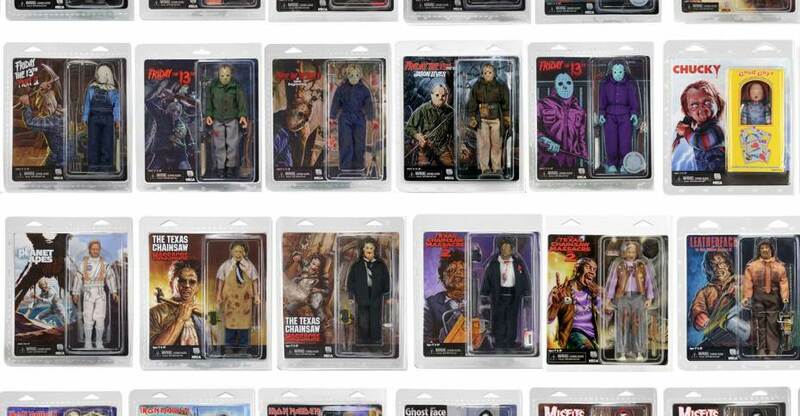 Noticeably absent are their recently released Home Alone figures, their Iron Maiden – 2 Minutes To Midnight Eddie and their Interstellar figures. This joins the Aliens, Predator and Pacific Rim Visual Guides in the new download promotion. Tomorrow will be their final download for the 12 Days of Downloads promotion. Read on to check it out. NECA toys shocked horror fans when they first teased a retro 2-pack of Pamela and Jason Voorhees from the first Friday the 13th film. The pair initially seemed like an odd choice. But as more images and info came out, it became clear that we were in for a pretty special release. The original film, for the most part, is a straight forward slasher film with a fantastic twist ending. Underneath that, though, is a fairly heartbreaking back story. A mother, so grief stricken and angry at the negligent death of her helpless son, lets insanity set in and becomes a ruthless killer. You can see the anguish in her face as she talks about the death of Jason throughout the film. Then you see her fractured psyche as she makes her murderous intentions known. The crew at NECA were kind enough to send one of these out for review. We’ve got over 50 high resolution photos and a review for the set. You can check them out by reading on. This summer we have six awesome convention exclusives (one of which has a Toys ‘R’ Us exclusive variant) — and because the quantities are lower than in previous years, they’re even more exclusive than before! However, there are TWO ways to procure one DURING Comic Con WITHOUT GOING TO Comic Con… if you’re ready for a little excitement, that is! 2. ONLINE FLASH SALE: During the show (exact time will be announced soon), we’ll make a small amount available online at necaclub.com – and once they’re gone, the sale’s over! Please note that you will not be able to get these on the Toys ‘R’ Us or Hastings websites. And here’s the full list of their exclusives. After the jump, you can find out much more info and check out some images. NECA and Ari Lehman (the first person to portray Jason Voorhees) have teamed up to reveal the Friday the 13th Mego Style 8″ Jason and Pamela Voorhees 2-Pack. The set has been teased many, many times and it’s great to see it fully unveiled. It includes Pamela Voorhees and a young Jason Voorhees as seen in the original Friday the 13th film. This will be a Convention Exclusive. 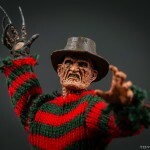 For those not attending the cons this summer, NECA will be bringing fans a chance to own it. Details on that when we have them. You can check out the images, and a fantastic message from Mr. Lehman, by reading on.